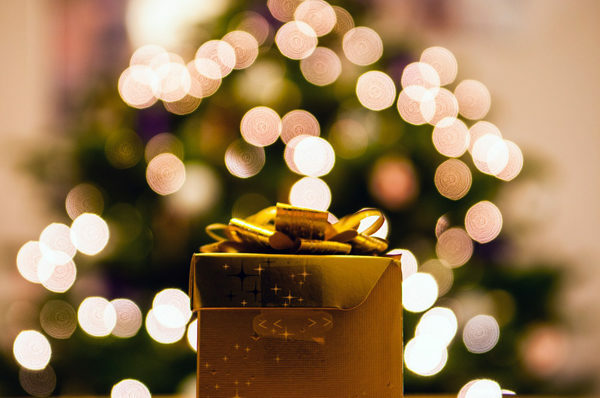 Can’t tell you how excited I am that we’re included in a handful of HOLIDAY GIFT GUIDES and FAVORITE THINGS LISTS this Christmas season!!!!!!! Two lists are with people that we’ve been working with for years, so it wasn’t a surprise. But three were out of the blue. And they had the sweetest things to say in their posts (and in their private messages to me about their lists). Tears, y’all! Overjoyed, appreciated, and loved! What wonderful feelings! So, why not make my own list too? I have businesses and products that make my life easier, that pamper me, that help my budget, that I adore. I must do this! Alamo City Moms Blog was created the same year that From Scratch Farm was. And we’ve practically had a business relationship that whole time! I’ve had a booth at a couple of their Moms’ Night Out events. 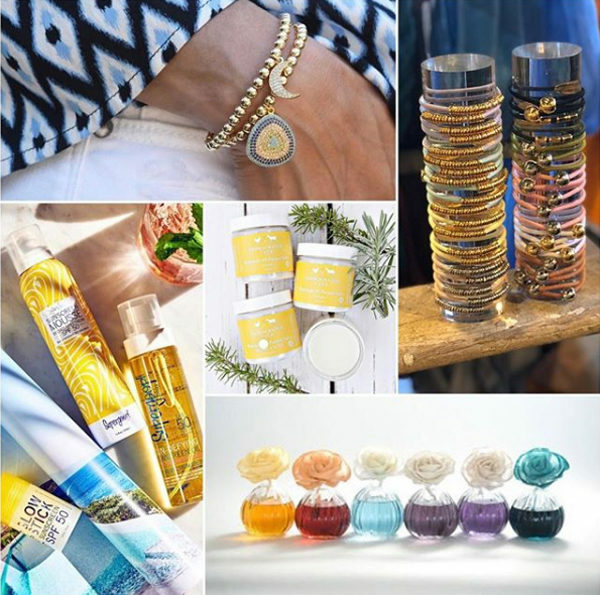 Our products have appeared on their Favorite Things list a couple of times. 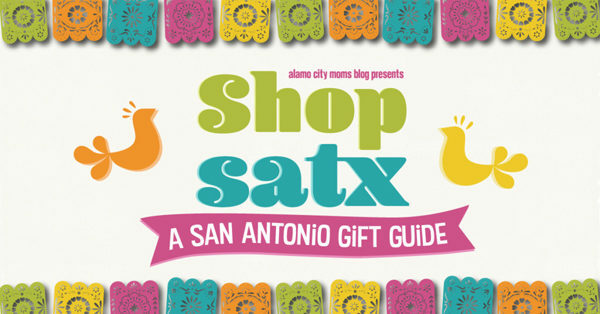 And this is probably our third time to be in their #SHOPSATX gift guide! Always in good company. And always appreciative of the recognition and extra publicity! We’ve been a member of Go Texan for as long as I can remember too. Because it was important to have those Texas maker resources for labels, jars, markets, business ideas, and more. We get booth and publishing opportunities throughout the year. And my regional representative comes to me, stopping by Boerne and our shop every once in a while. 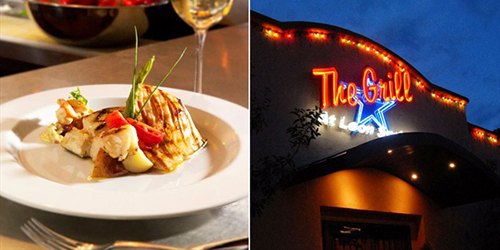 Have you seen the Go Texan logo in your local grocery store, on your restaurant’s menu, on your bottle of liquor? Texas pride, you guys! Watch for it. Patron there. And support those businesses. 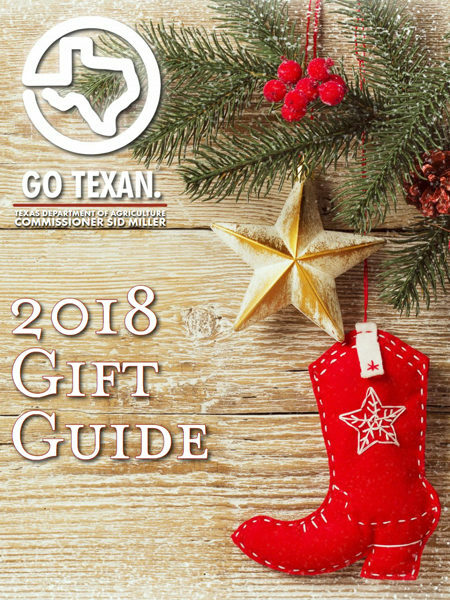 Oh, and the gift guide? 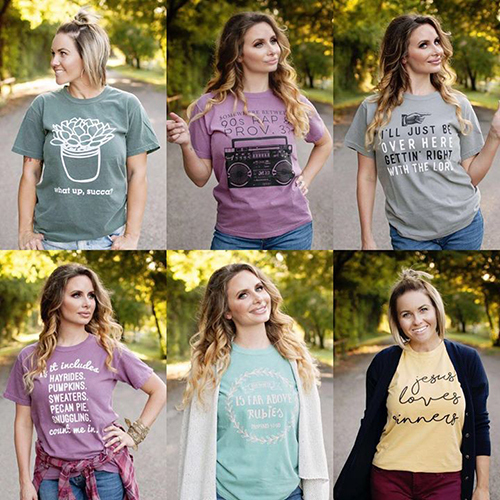 Shop it! 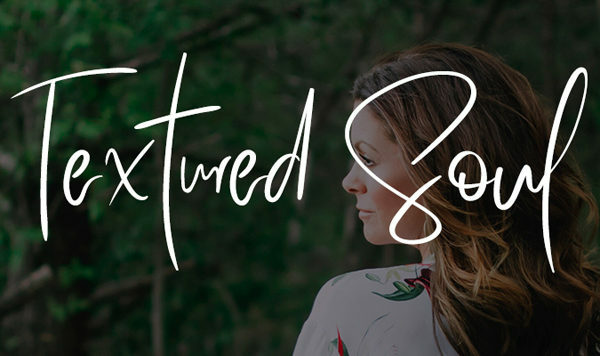 This personal blog was a complete surprise! Out of the blue, I received a private message to let me take a sneak peek at her blog post. Loved it! 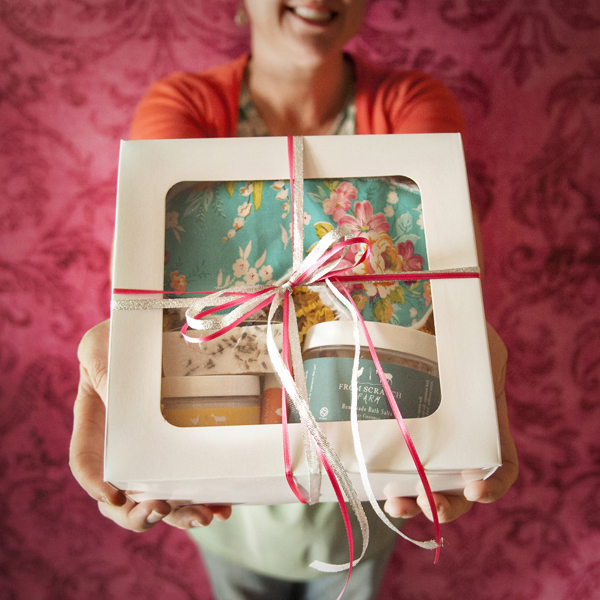 Not only did she talk about how she was introduced to our business, but she also gushed on our products. 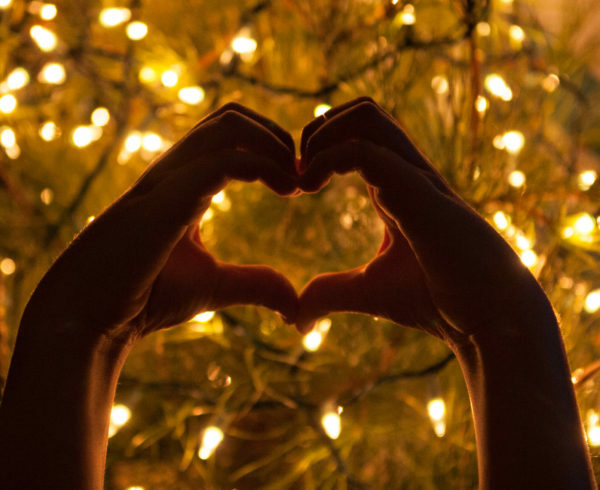 With a great testimony and a nod to our all-purpose salve resulting in world peace… I was honored to be a part of this post! 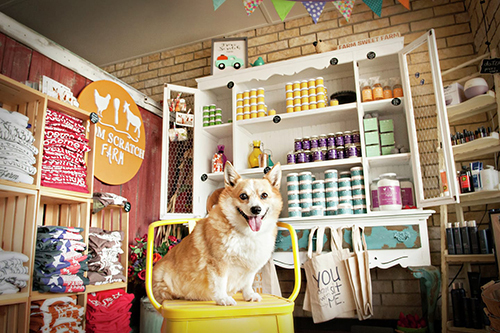 Shawna at Sowing Seeds has been such a blessing to our little business, from day one of her stepping inside the store. Now, I’ll joke with her that she’s never actually written a blog post about us. But somehow, we get mentioned in lots of other posts! 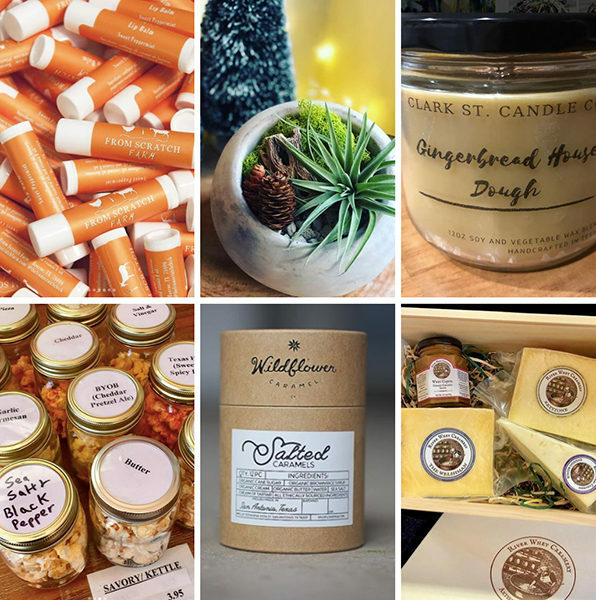 (It must be my big personality or sense of community that keeps us popping up in other people’s highlights) 😉 In her favorite things list, she talks all about our gift boxes, which I am so excited about! As soon as I found this other maker’s sleep masks, I knew I had to throw together a sweet bundling deal that would pull together some of my favorite things. So… it’s one sleep mask, one bath salt, one bar of soap, one all-purpose salve, and one lip balm. All valued at $49; retailing for $39! They’re super cute and pampering. Come and get them!!! Having just met Pamela this summer, I haven’t expected to get as much love and attention from her and her magazine as I have. But I love it! We’ve partnered up for an IGTV video. She’s highlighted us. We’ve had great times visiting. She is one smart, driven, fire cracker of a woman! 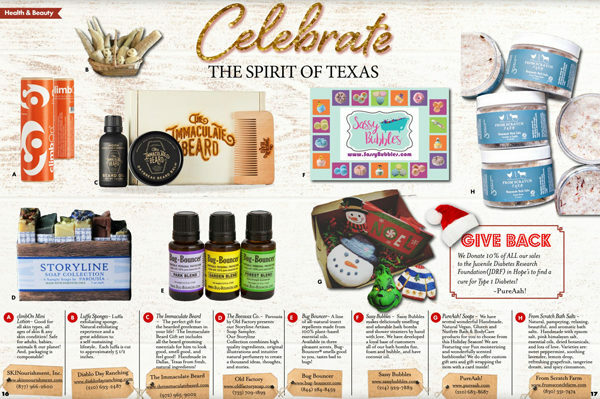 And I’m thrilled not only have our lip balms show up in her holiday gift guide… but also to be listed in her Boerne Edition of Yelp’s Travel Texas highlight. Woo hoo! Right?! If you don’t know already, I’m busy! I’m a single mom of two boys. We have lots of pets. I own and run two businesses. I do my own grocery shopping, errands, deliveries, yard work, daily house cleaning, and MORE! Getting up at 6:00 every morning is hard enough. But collapsing into bed every night (sometimes knowing that the house is a mess) is even harder. But sometimes all I need is knowing that Roomba is sweeping up downstairs, as I’m headed to bed or to work. 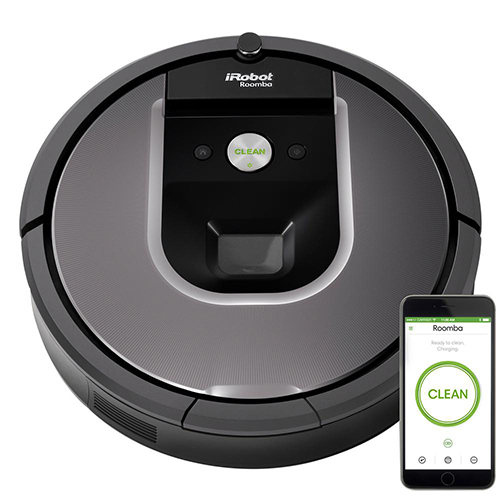 I can’t tell you how much time, anxiety, and complaining Roomba saves me from. The little robot is cleaning up my messes as I’m doing something else, you guys! Most days, there’s no better feeling than that. 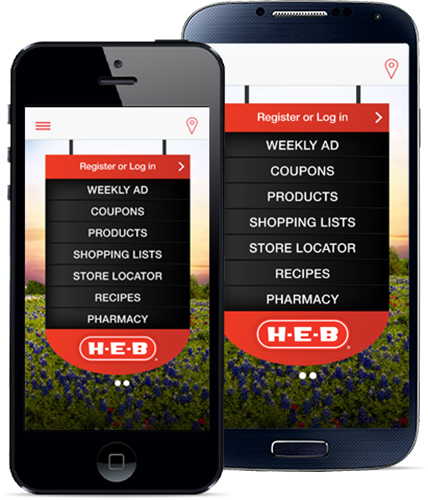 Speaking of my own grocery shopping… I know many of you love using HEB’s app for placing your grocery orders and delivery to your car. I love that for you. And I love that there’s an app for that! But I chose to spend my money on different luxuries (as you can see by my Roomba nod). 😉 But why do I love HEB’s app? It’s one of my favorite things because of the coupons! I have a system. On our big chalkboard in the kitchen, I’ll make my menu for the week. Next to that, I’ll write down all of the groceries that we need from my stop at HEB. And then I’ll head to the app, to see where I can save my hard-earned cash. It frequently has some of my favorite items. I’ve gotten a free canvas bag once. I’ve taken advantage of a free $10 gift card when I purchased another gift card. And I love when they do a “Get $10 off your basket when you spend X in the X department.” You can bet I take advantage of that! If you haven’t downloaded this app, do it now! Start using it for Curbside Delivery. Or start “clipping” your coupons. Many of you know that I’m a children’s photographer. 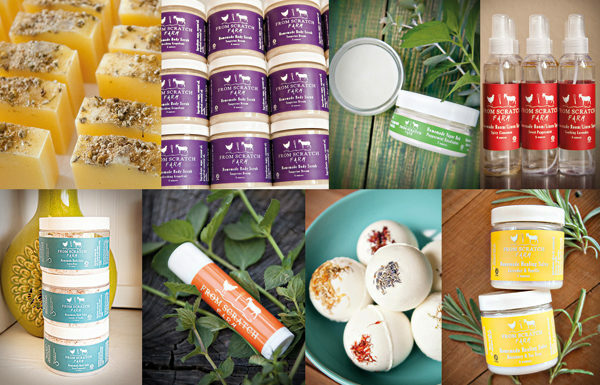 With that, I have a fantastic camera for my food and product photography for From Scratch Farm. But what stays in my purse? What do I use when I don’t want to carry my 10+ pound professional camera? What goes on amusement rides, under water, into businesses, and on adventures with us? 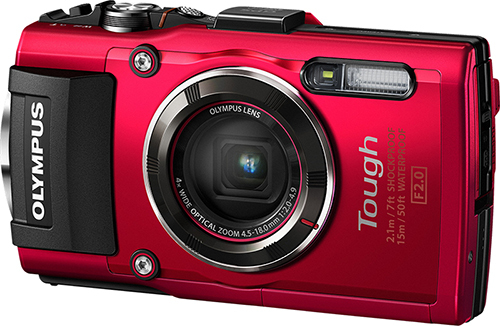 That’s Olympus’ Tough camera! It’s easy to use, for the beginner. It has great controls, for the camera freaks like me. We’ve used the self-timer for group images. We’ve used the video function. The boys have created stop-motion videos with it. It can capture up-close details with the macro mode. And it can produce great images in the pool. Can’t imagine not having this camera with me at all times. Have you tried this?! 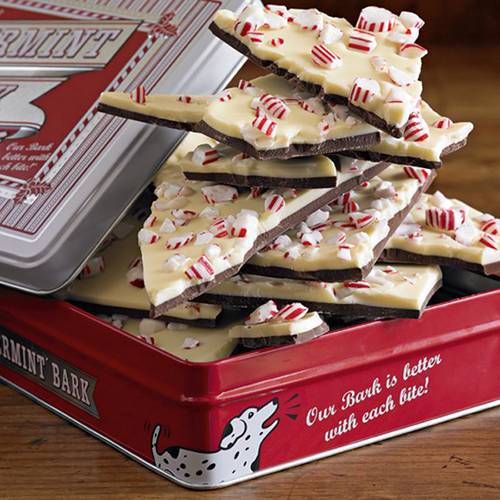 I’ve been buying this peppermint bark for myself every Christmas for at least the last six or seven years. It is heavenly! So chocolate-y and peppermint-y. 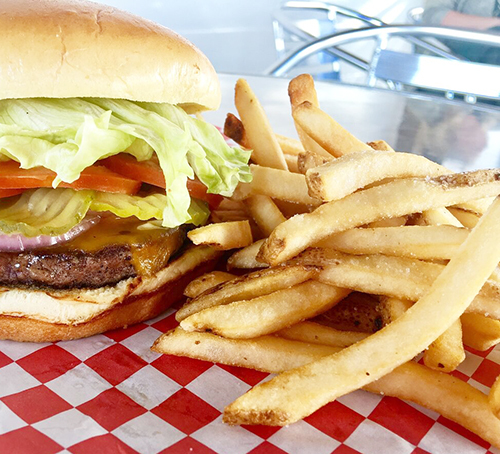 Soft, melt-in-your-mouth goodness. I dream about it every year, as they get close to the release date. Our two boxes came in a few days ago. And we’re savoring every last bite! 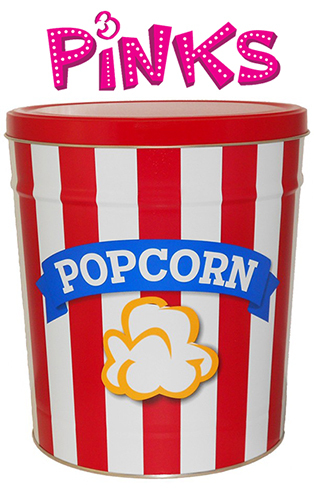 We discovered Paul’s Popcorn in Fair Oaks Ranch just before our beach trip in August. I was amazed at all of the different flavors… and their “flight,” where you could try several of the varieties. The cheddar was to die for! And the loaded baked potato? Oh my gosh!!!!! We bought a bunch for our road trip, and enjoyed it SO much! Then, just a couple of weeks later, I find out that Paul’s is closing. Hearts would have been broken, but then I found Pinks Popcorn. Thanks to us both having a booth at the Handcrafted Wholesale Market (and getting to meet), we found a new popcorn place (for all of our snacking needs). Now, I still miss the baked potato popcorn, with its green onion, bacon, and cheese goodness. But Pinks has some amazing flavors that we’re loving. And the owner is pretty sweet too. My favorite find there lately was their refillable tin! I bought one the last time that I was there. They filled it up with cheddar. And now we get 30% OFF refills every time we take that tin back! SWEET! I can’t afford cable. Or, I won’t. It’s not where I want to spend my money. 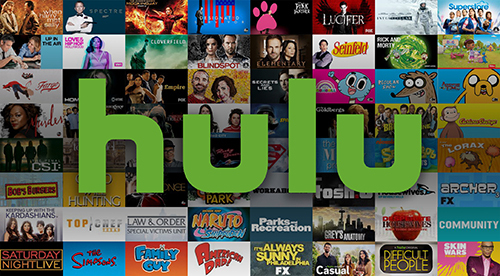 Especially when I can get all of my favorite shows and movies delivered to me through Hulu for $8 a month! Granted, I have to wait one evening for my regular TV shows to appear on the viewing list. But I don’t mind. I still get to enjoy Modern Family, This is Us, Grey’s Anatomy, America’s Got Talent, A Million Little Things, Bob’s Burgers, and The Goldbergs. Score! Oh, doTERRA! Nature’s goodness! 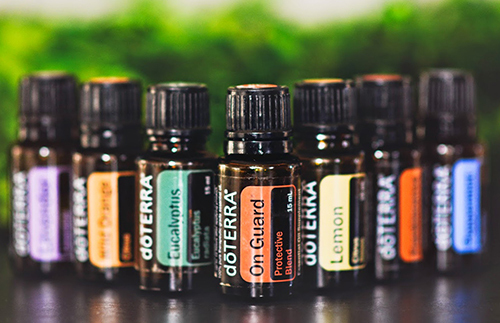 Their essential oils make up the biggest chunk of our medicine cabinet. Actually, all that’s in our medicine cabinet is ibuprofen, junior ibuprofen, our vapor rub, Claritin, and cough drops. That’s it. Everything else ails us is treated, remedied, and relieved with essential oils. Amazing, right? I can boost our immune system, improve our moods, ease upset stomachs, and help us breathe better with natural, plant-based essential oil products! Plus, most of my beauty routine revolves around their skin care line. I wash my face with honey (yes, you read that correctly). Nature Nate’s fairly-local honey, that is. Then I use doTERRA’s pore-reducing toner, moisturizer, hydrating serum (with my new GingerChi jade roller), and anti-aging eye cream. Everything smells delicious. Everything has amazing health benefits. Can’t love them more! There’s an oil for that, y’all! I had this on my list before I asked the boys for their input. 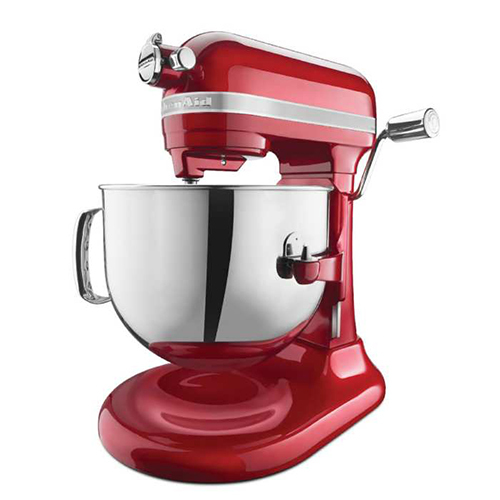 And while this didn’t pop into Evan’s head while he was brainstorming his favorite things…. you can bet that Ben brought up Soda Pops as one of the things that makes his day better! I never think of Soda Pops as my favorite burger joint, because I always get the BLT. But the boys love their burgers! And when their 18-cent fries come around a few times a year, you are guaranteed to find us there a few times during that week! They’re delicious! And you can’t beat the back-in-the-old-sock-hop-days prices! SO appreciate that the owners choose to do this for their customers! 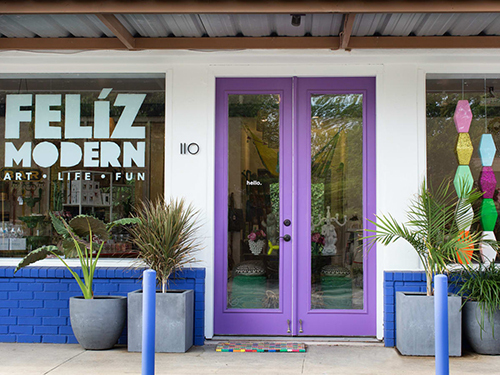 I can’t choose a favorite shop in Boerne. Just can’t. Of course, I like them all. But I think, because I know so many of the owners well, it would be difficult to choose. What I can choose is a favorite San Antonio shop. Because it was like magic when I finally walked into their store this year (after following them on instagram for forever). Fun, colorful, silly, and vibrant magic! From hilarious gag gifts, to kids toys, to party supplies, to dog items… to magnets, key chains, paper weights, baby clothes, and so much more. Feliz Modern is a delight! I wouldn’t be selling these items, and I wouldn’t be pouring myself into this business, if our products weren’t some of my absolute favorite things. Made with only a few, simple, natural ingredients. With results that speak for themselves. That pamper, soothe, moisturize, and care for your home and skin.